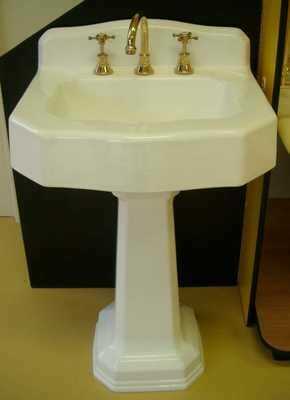 If you own an antique "ball & claw" bathtub, or pedestal basin, you can have it restored to NEW again in any colour you like. We have restored 1,000's of these antiques bathtubs over the last 30 years back to NEW again and given them a new lease of life for another generation to use. An original cast iron bathtub is a classical piece, never dating. 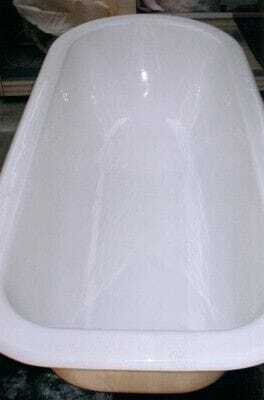 Cast iron bathtubs are deeper, more spacious and maintain water temperature longer. Cast iron is tremendously strong which means it will last a lifetime. 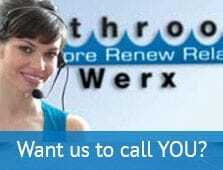 Whether your Bathroom is traditionally colonial or breathtakingly modern, Bathroom Werx can restore your bathtub in the colours to match your decor, adding elegance and style to your bathroom. Every bathtub undergoes an exhaustive restoration process in our factory which has been specially designed to cater for the restoration of these antique cast iron bathtubs. 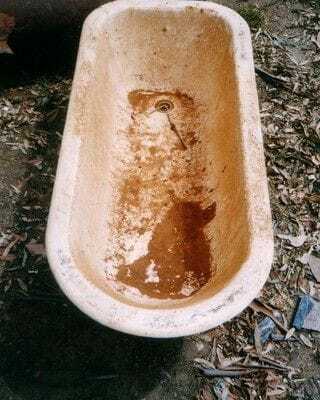 The bathtub is stripped back to bare metal on the outside which sometimes reveals old markings such as the date of manufacture or even the manufacturer's name. Interior Surface - After an exhaustive preparation and restoration process, the NEW WERX enamel applied to the interior is a smooth glossy finish and the colour can be tailor made to suit the colour scheme you have chosen for your bathroom. Our unique Werx Enamel is a lot less slippery when wet compared to the original vitreous surface of the bathtub making it a lot safer to use. Exterior Surface - The exterior is stripped back to bare metal, filled in to achieve a smooth finish and is then coated in a high gloss finish to create an individual look for your bathroom. The Feet - The "Ball & Claw" feet can be electroplated in gold, brass or chrome. Or you may prefer to have them enamelled in the same colour as the outside of the bathtub. Colour Matching - You may like to match the inside colour of your bathtub to wall tiles that you have chosen for your bathroom, and the outside to floor tiles or maybe border tiles. 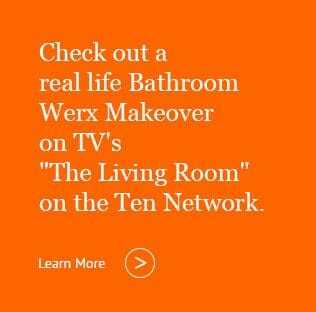 Bathroom Werx prides itself in being able to colour match all bathtubs to your requirements. 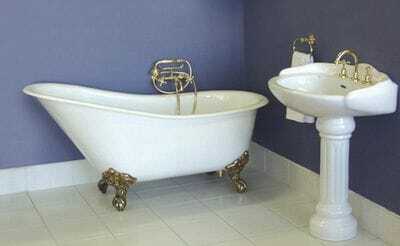 Seven Year Written Guarantee - Backed by 30 years experience in restoring antiques bathtubs.